Although he usually plays the straight man in his studio comedies, it’s rare to see Jason Bateman step outside of the genre. He has shown a bit of range in films like Up in the Air, State of Play and even Juno, but in the last few years he has seemingly become the face of the slapstick and/or high-concept comedies, including Horrible Bosses, The Switch, The Change-Up and most recently, Identity Thief. However a new role will see him taking on a darker drama, as he’s part of the varied ensemble for Disconnect. Premiering on the fall festival circuit to not much buzz, the first narrative film from Murderball‘s Henry Alex Rubin is now set for a spring release and the first trailer has landed today. Intertwining several storylines dealing with privacy and sexual situations, we sincerely hope this doesn’t produce a 360 or Crash-esque melodrama, but it doest present an intense style. One can see it below, along with the poster, for the film also starring Hope Davis, Frank Grillo, Michael Nyqvist, Paula Patton, Andrea Riseborough, Alexander Skarsgard and Max Thieriot. 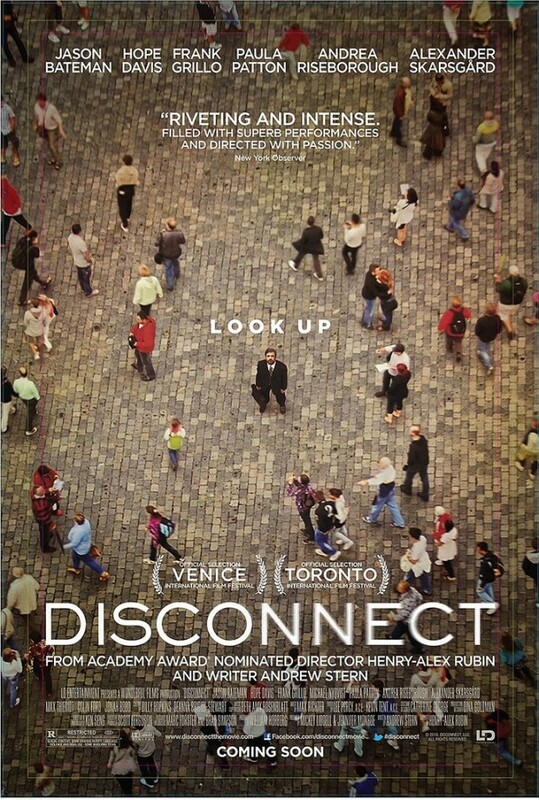 DISCONNECT is an upcoming drama directed by Henry-Alex Rubin, from a screenplay by Andrew Stern. It stars Jason Bateman, Hope Davis, Frank Grillo, Paula Patton, Michael Nyqvist, Andrea Riseborough, Alexander Skarsgard and Max Thieriot. The film, which looks at a group of characters obsessed with all things technical, is the first fiction film from Rubin, who directed the Oscar-nominated documentary “Muderball”. The story follows a hard-working lawyer, who attached to his cell phone, can’t find the time to communicate with his family. A couple is drawn into a dangerous situation when their secrets are exposed online. 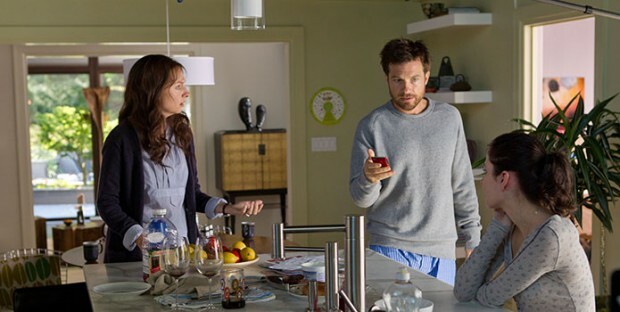 A widowed ex-cop struggles to raise a mischievous son who cyber-bullies a classmate. An ambitious journalist sees a career-making story in a teen that performs on an adult-only site. They are strangers, neighbors and colleagues and their stories collide in this riveting dramatic thriller about ordinary people struggling to connect in today’s wired world. Disconnect opens on April 12th, 2013.